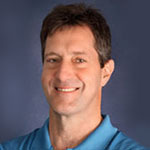 Stephen J. Zabinski, M.D. 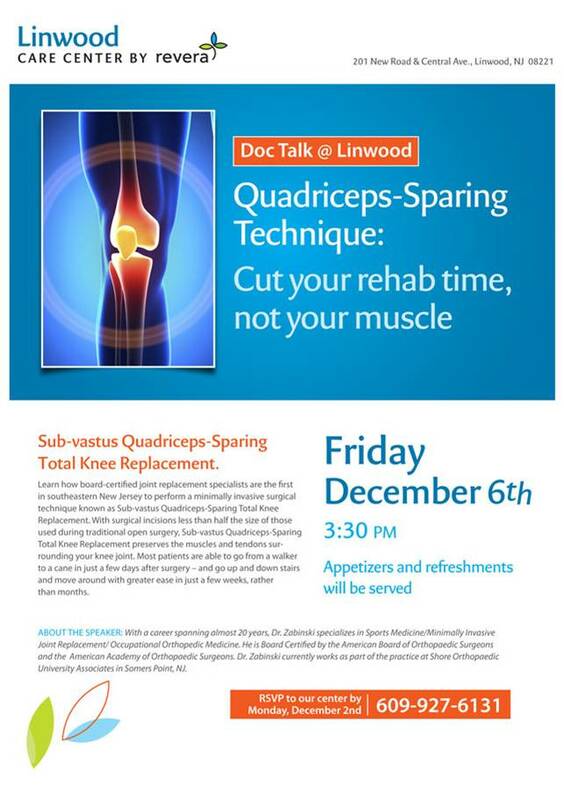 and Douglas A. Dannehower, P.T OCS, from Shore Orthopaedic Physical Therapy will be speaking at the newly renovated Revera Linwood Care Center in Linwood, NJ on Friday December 6 at 3:30pm. Knee Replacement: Outcome was much better than I had expected! 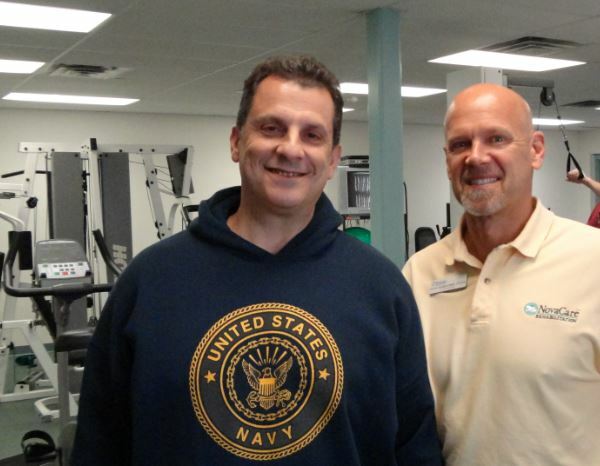 Excruciating knee pain brought Thomas back to Dr. Zabinski at Shore Orthopaedic University Associates the same as it had three and a half years prior for his other knee. He was dreading it, but had heard good things about the quad sparing technique and decided to have it done. By: Gene J. DeMorat, M.D. When it comes to total knee replacement and total hip replacement, most people know someone who has experienced one of those surgical procedures, but how many are aware of thumb joint replacement surgery?